Should I Talk to Police at an Accident Scene? Should I Talk to Police at the Scene of an Accident? If you’ve been in an accident, it’s a good idea to have law enforcement officers come to the scene. The police are going to make sure that everybody’s identified and that information is exchanged, as well as help document the scene and collect statements based on how the accident occurred. Just to be safe, though, you should also get the names and contact information of any witnesses, because officers often don’t write those down. When the police come over to you, it’s okay to talk to them. They are there to help you, and if you aren't at fault or don’t feel that you are, you have no reason not to talk to them. Officers do occasionally get things wrong, but you should still cooperate with their investigation. The one piece of advice you’ll hear a lot of commercial drivers receive is to not admit fault. You should tell officers about what actually happened, but at no point should you accept blame for the accident. 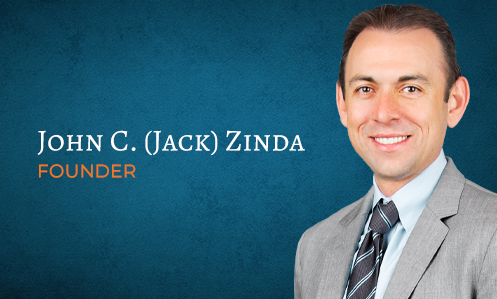 If you've been involved in an automobile accident, the personal injury attorneys of Zinda Law Group can help you seek compensation for medical expenses, lost wages, property damage, pain and suffering, and more. Our personal injury lawyers have the knowledge, experience, and resources to fully investigate the accident scene and to take on the insurance companies on your behalf. Call us today at 800-863-5312 for a free consultation with one of our car accident lawyers. Meetings with attorneys by appointment only.